MY HUSBAND CAN PUT THE AIR IN MY TIRES.WE LIKE IT BECAUSE OF THE CHARGER IT GOT WITH IT. Just what I wanted and delivered in minimum amount of time. This thing works! One tire in my Windstar van keeps deflating (Yes, I need a new tire). 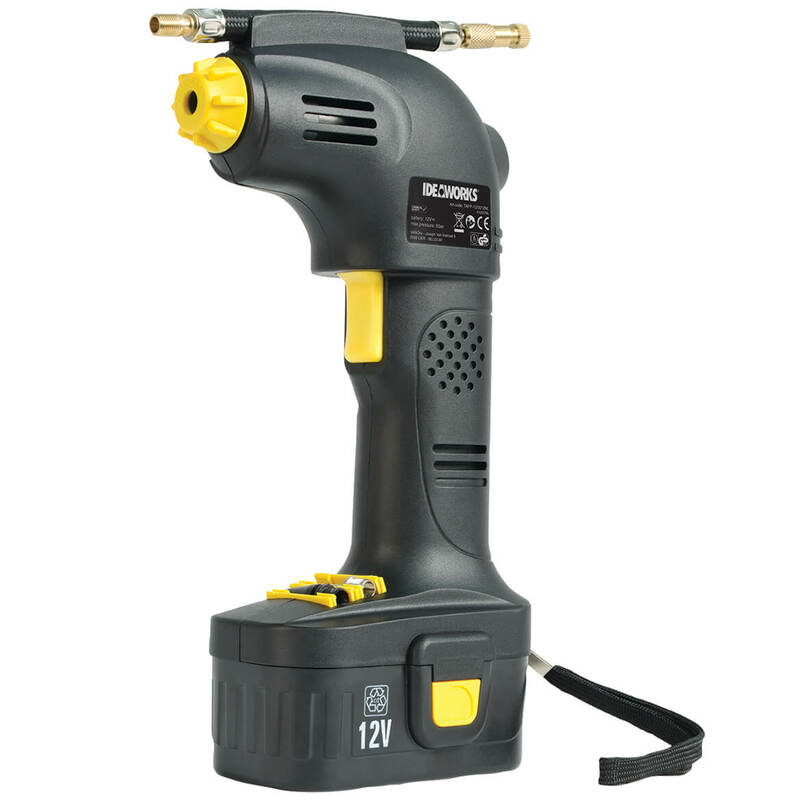 This gadget, which I put in my cigarette lighter, takes the pressure in my tire from 19 to 30 in about 5 minutes. Easy to use. What a lifesaver! works beter than I hoped for. was very impressed with it. Will refer to a friend. 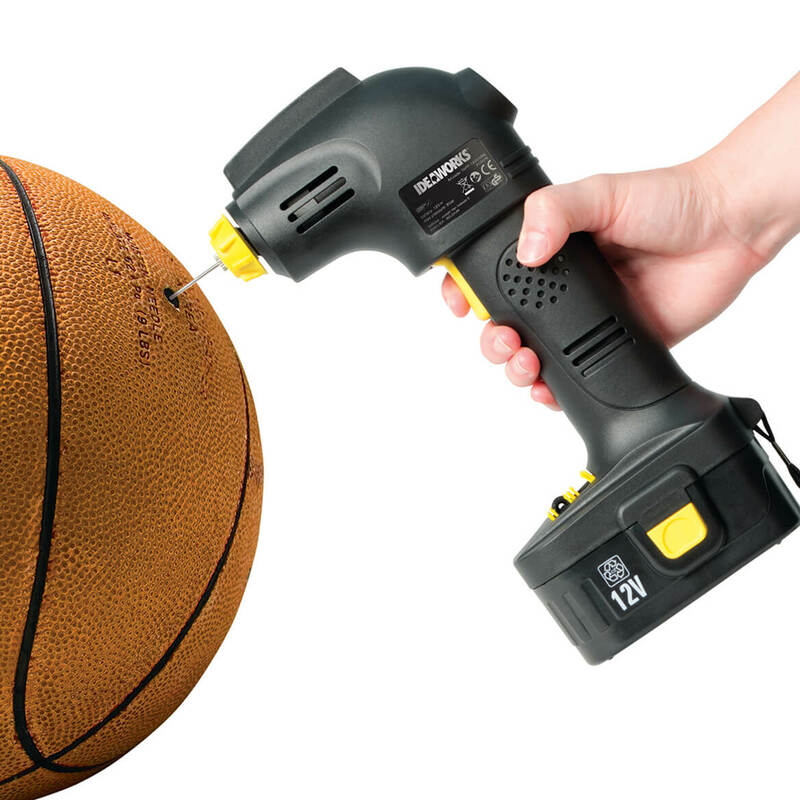 If you need it to blow up toys or swimming tubes, this is great. 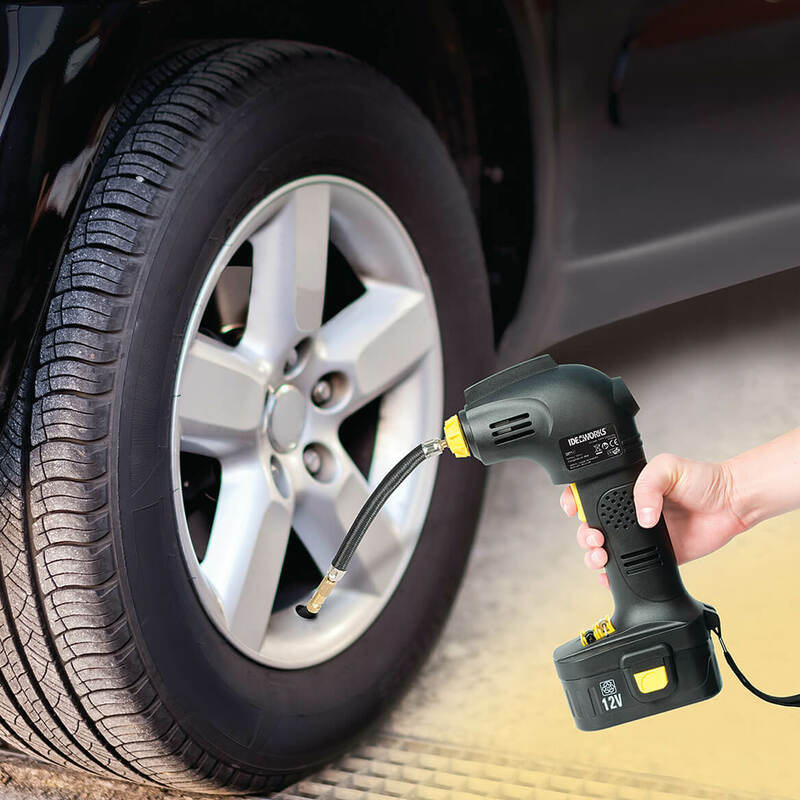 The Cordless Tire Inflator is convenient and handy whenever you need it! 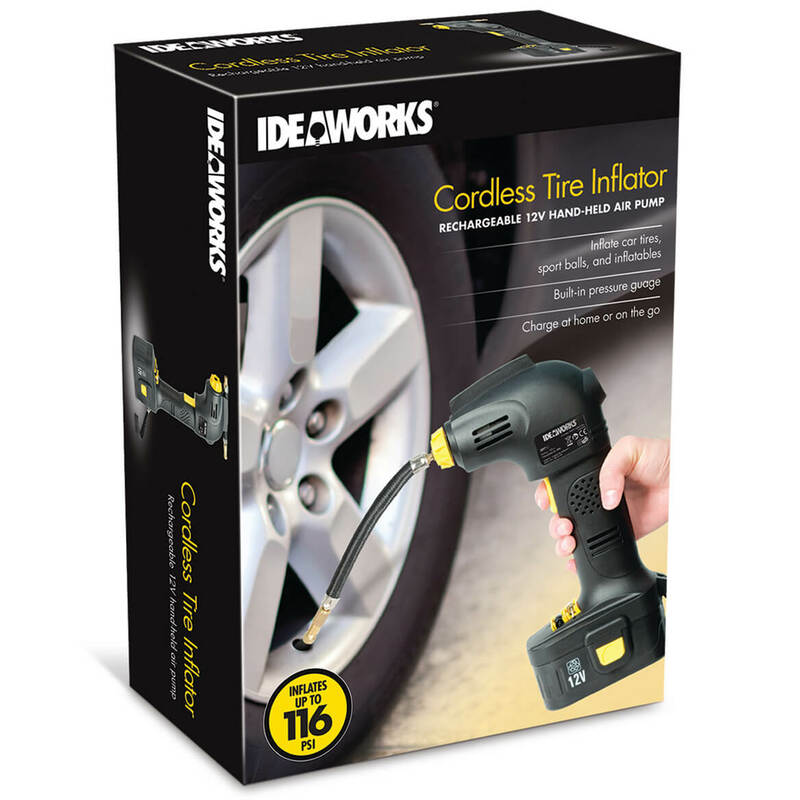 The Cordless Tire Inflator is convenient and handy whenever you need it, and its actually works, it could also make a good gift to give to family and friends! I can't say if I would buy it again at this time. I charged the battery as suggested, and I connected the battery to the inflator and went outside to air my vehicle tire up but it didn't air up. So at this time I don't have a good review to give about it. I'm going to give it another try in case I was doing something wrong. Because when I saw it in the Walter Drake catalog I knew I had found something that I needed for when my son wasn't around that I could handle without having to have help. Now I don't know. At this time I can't recommend this to a friend or anyone. Not up to my expectations! Product did not live up to my expectations. Took too long to charge and then when fully charged it only lasted to abut 5 to 10 minutes of being used. It also would get too hot really quick. If you were to use this product to inflate a car tire be wary you will wait about 30 to 40 minutes to fully inflate it due to very, very low air pressure. Nope, did not do what it said it could do. Will be returning items, did not perform as advertised. Need good way to use tire inflator. In case of an emergency while traveling. Live along and need something in case I am out on the road. THIS ITEM IS GREAT FOR EMMEGENCY. I bought one for my son-in-law, he LOVES it! I bought this one for me. I thought it would be easier for me to inflate my own tires. Portable and has AC adapter to charge at home option. very handy to have good price? Saw this in the Sunday paper. I hope it will help me fill the tires of my auto and my golf cart easier. It appeared to be the Best Buy of what I was looking for. This looks like a great thing to have. Convenience and perfect size for travel. Very practical and a great price. It looked as though it would be pretty simple to use. It can be used with battery or plug into cigarette lighter. Good for emergency tire inflation. is there a separate battery available? If so, where can I buy it? BEST ANSWER: Thank you for your question. 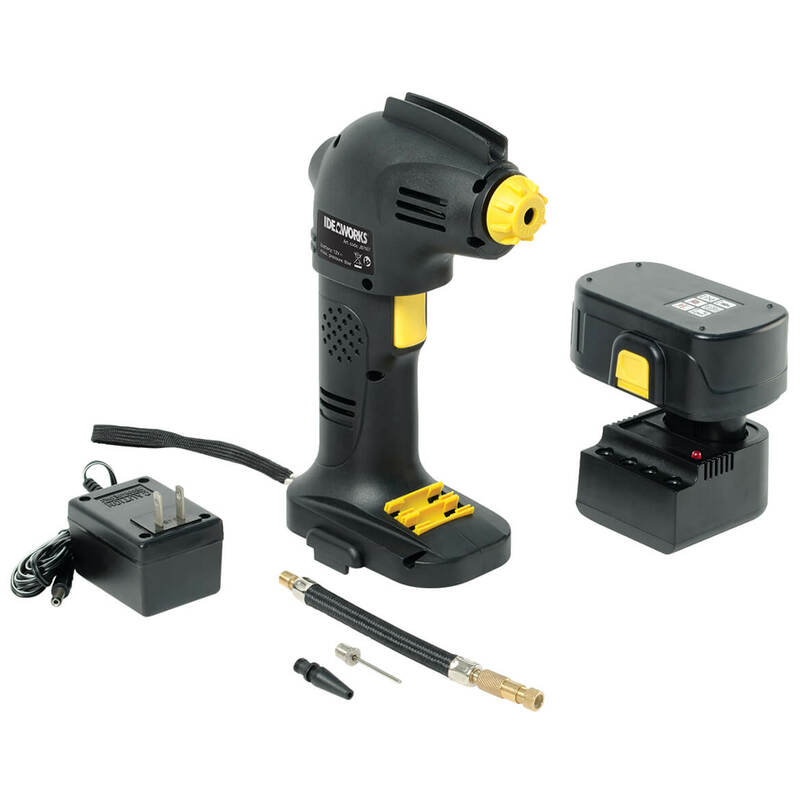 Unfortunately we do not carry the replacement battery, we would recommend checking with any local hardware store. We hope this information will be of help to you. can you set the air pressure? BEST ANSWER: Thank you for your question. There is no set for the air pressure. We hope this information will be of help to you. What type of connector is used for the hose to the unit? BEST ANSWER: Thank you for your question. It uses a pneumatic hose. We hope this information will be of help to you. is there an electric plug if you don't want to use the battery? BEST ANSWER: Thank you for your question. No, there is not a cord. We hope this information will be of help to you. what type gauge is it? BEST ANSWER: Thank you for your question. A tire pressure gauge. We hope this information will be of help to you. BEST ANSWER: we charged it and just used it once on a project. to my knowledge the battery is still charged. About 3 months.